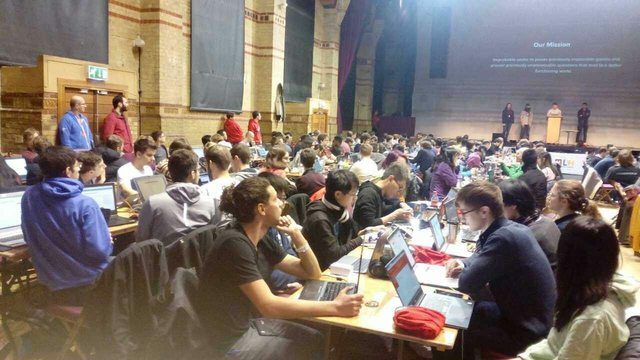 On the 20th and the 21st of January 2018, Cambridge University is conducting its annual hackathon, and will yet again bring together 300 hackers, programmers, designers and more from universities all over the world. 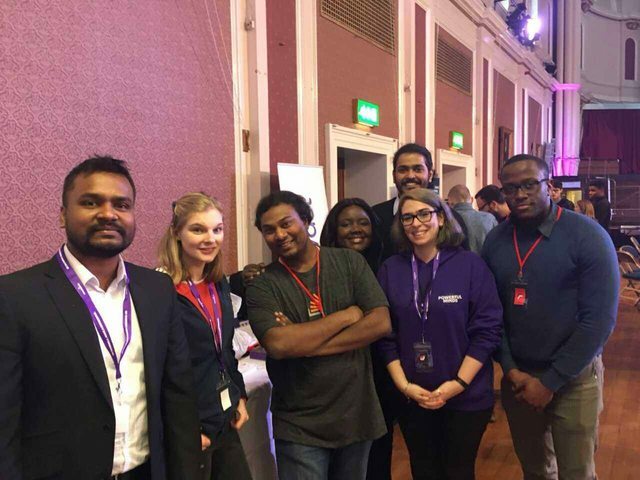 It's a 24 hour hackathon, where the hackers will break and innovate to produce projects that push the boundaries of technology. 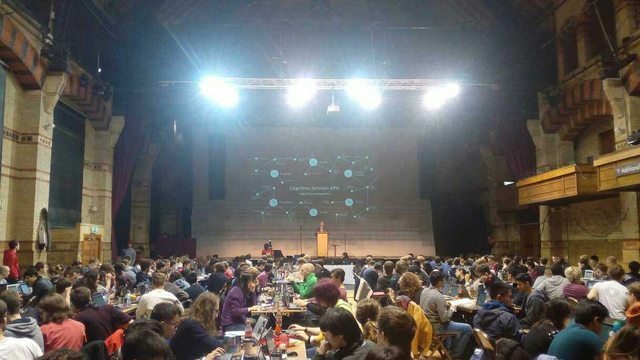 Learn more about this in their official website at HackCambridge. Yep, there are four tiers of sponsors, pouring in enormous money for the goodies and food. The room is filled with almost 300+ hackers from all over the world. 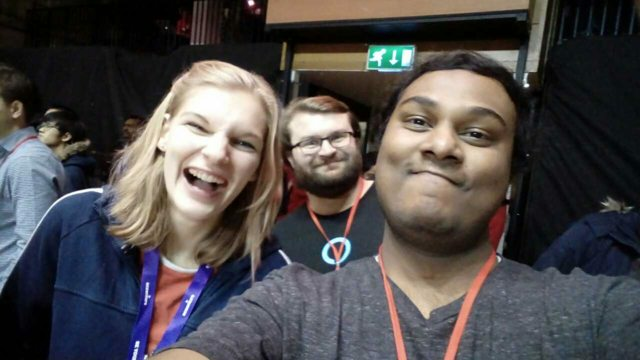 Finally got a chance to meet the HackGirl! Different sponsors demonstrating their products and new upcoming technologies they are working on. Here's Microsoft demoing their upcoming Cognitive Services. The good news is, the venue is also providing us sponsors with free Vegan Food! 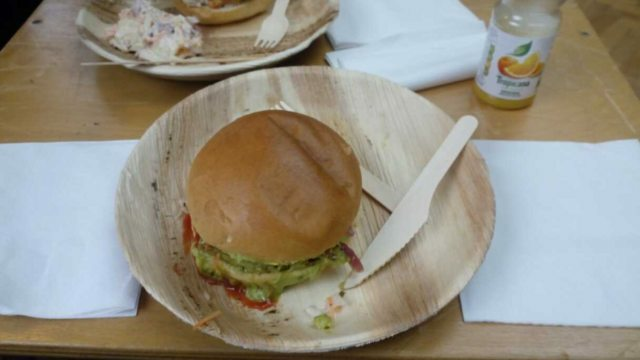 Something that's hard for a vegetarian like me to find in England. And yes, it was awesome! And a group picture with the company team I work for. 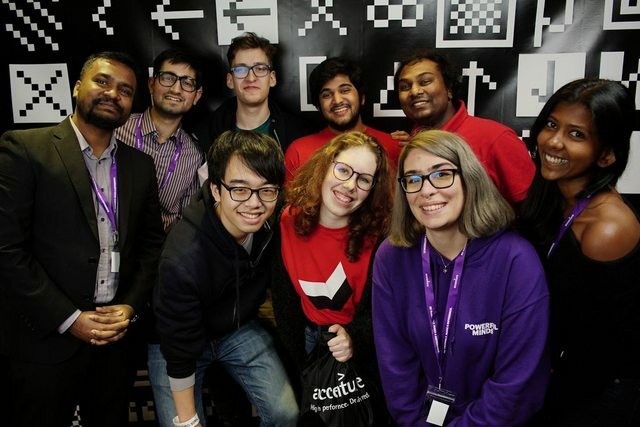 I would urge students and my fellow people to go and check out Hackthons. Well, I do because I have learn a lot in the process. Think about the submissions and you will know how people think out of the box to achieve something that's not even achievable. That's one of the primary reasons I would ask people to go. Other than the above stuff, I keep telling people that the food is only the important thing in the world than anything. Literally anything. But there's more that I would say. 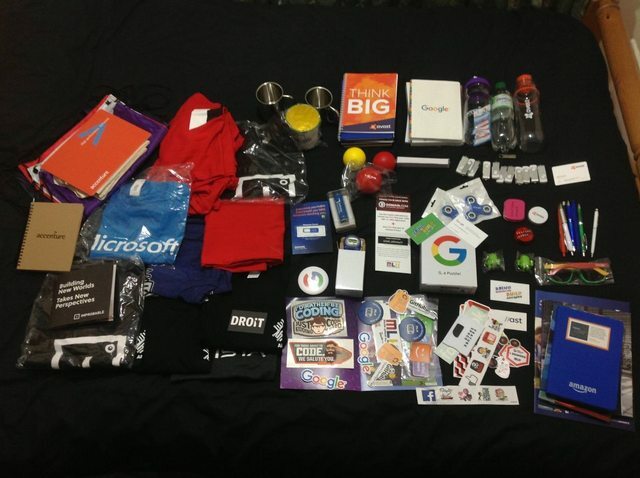 Goodies! Check out my takeaway this time!